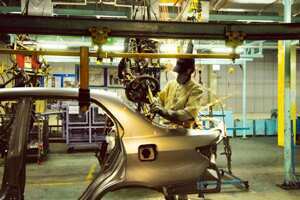 Mumbai: India’s manufacturing output expanded at its slowest pace in 14 months in September as domestic demand cooled in the face of seven-year high interest rates, a survey showed on Wednesday. The drop in the ABN Amro Bank purchasing managers’ index (PMI) showed a slowdown in global demand was starting to bite into exports even though the rupee has dropped 16% this year against the dollar. ABN Amro Bank senior economist Gaurav Kapur said the fall suggested manufacturing activity had lost momentum in September. “That was mainly due to a decline in growth of new orders, implying some deterioration in demand, both from local as well as export markets," he said. The central bank raised its repo rate, its main short-term lending rate, by 125 basis points in three moves in June and July, taking it to a seven-year high of 9%. It has also sharply raised banks’ cash reserve requirement this year. PMI, compiled by UK-based Markit Group Ltd and sponsored by the Dutch bank, tracks changes in manufacturing business conditions by polling purchasing managers each month on output, new orders, employment and prices. The survey’s output index fell to 61.7 in September from 62 in August. The new orders index dropped to 62.6, its lowest reading since February, from 64.8 in August. The export orders index fell to a five-month low of 53 in September from 55.2 in August. The pace of output price increases slowed modestly, with the index falling to 54.6 in September from 54.8 in August. The index of input prices rose to 57.8 in September from 56.1 in August, which manufacturers blamed on expensive raw materials and rising fuel costs.